These old fashioned little dolls would look right at home in a pioneer cabin. They're fun to make and even more fun to play with! 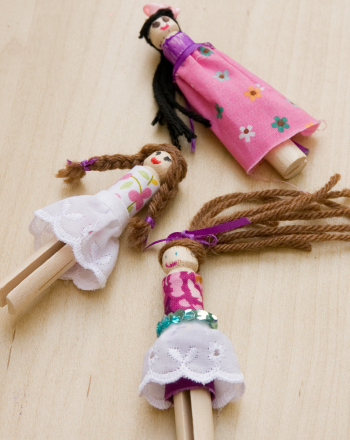 Use simple items like clothespins and yarn to create these darling dolls for your child to play with. Help your child cut a few short pieces of yarn in one colour of her choosing. 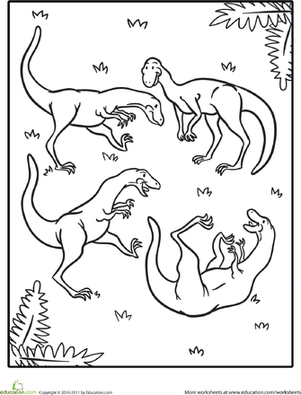 Be sure the pieces are all between 3" and 5". 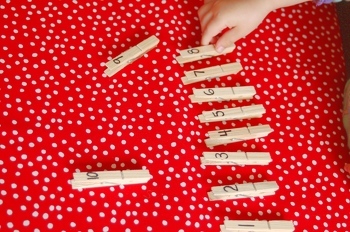 Glue it to the round top of the clothespin to make hair. You can add pieces of thin ribbon to give your doll a little more style--just tie a little bow and glue it to the back of the doll's head. As the glue dries, cut a short square of fabric about 3" x 3". Wrap the fabric around the middle of the clothespin and glue it down to make a skirt. 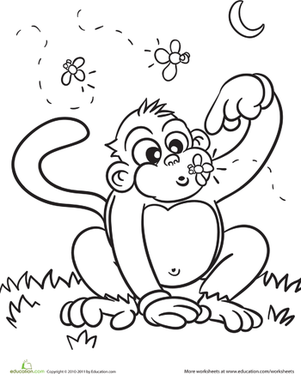 Invite your child to draw a shirt and a face onto the doll using the markers. Make a few different dolls so she has a fun homemade set to play with! Have a blast giving this cute doll some pretty colors, and don't forget to review the names of colors and shapes with your child! 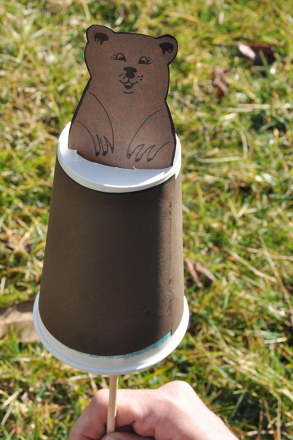 Here is a cute and convenient template for birthday invitations. 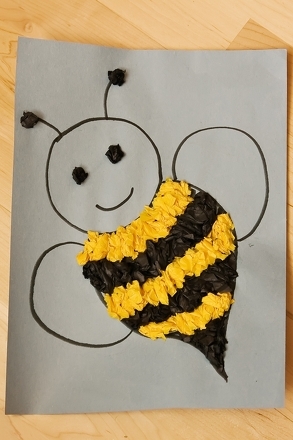 In this fun kindergarten arts and crafts activity, your child will create a cute and colorful caterpillar using pom poms, googly eyes, and a clothespin. These cute dolphins are taking a romantic swim beneath the sea. 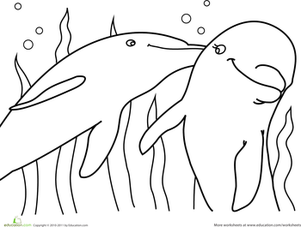 Any preschooler is sure to giggle as she colors in this sweet underwater scene. 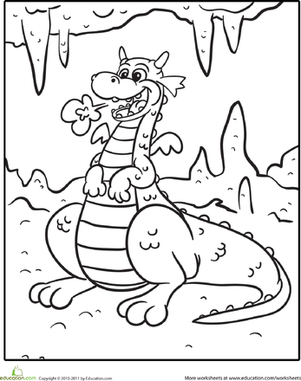 This cute dragon is sure to make any child smile, and he'll get great fine motor skills practise as he works on coloring inside the lines. Make it easy for him with a cute cut-and-paste project that lets him put together cool superhero outfits.